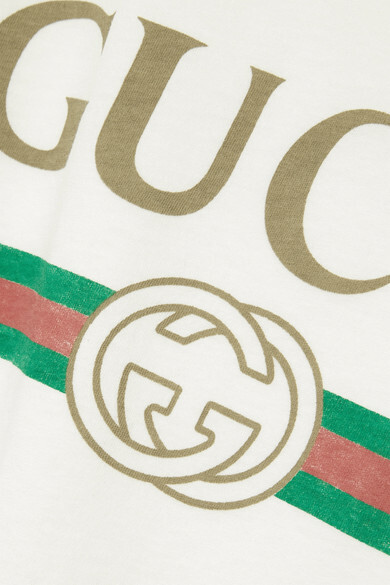 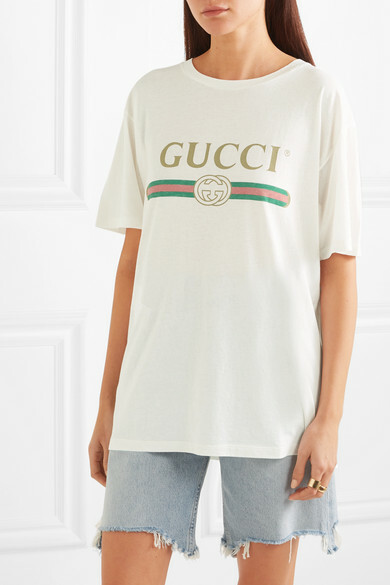 Gucci's cult T-shirt has been spotted on everyone from Margot Robbie to Olivia Culpo. 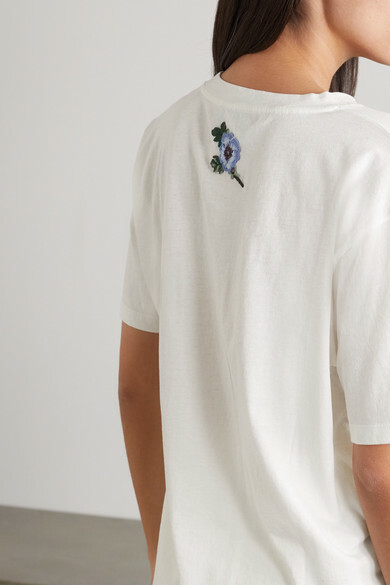 Cut from lightweight cotton-jersey, this oversized version is detailed with faded gold lettering, the label's signature web motif and a playful floral appliqué at the back. 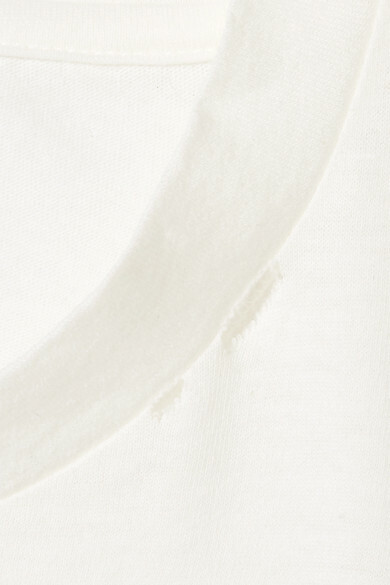 It's distressed around the neckline for a cool, vintage feel. 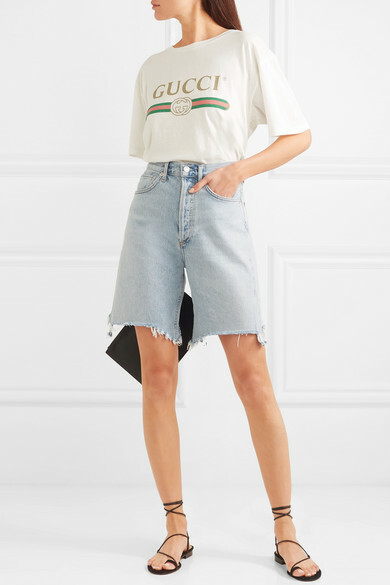 Shown here with: Ksubi Skirt, Wandler Shoulder Bag, adidas Originals Sneakers, Dinosaur Designs Earrings.